Extreme Family Fun Spot offers narrated Segway tours, fishing charters, bike, kayak, standup paddle board, and boat rentals. Save on your visit to Extreme Family Fun Spot – save and print COUPONS below! 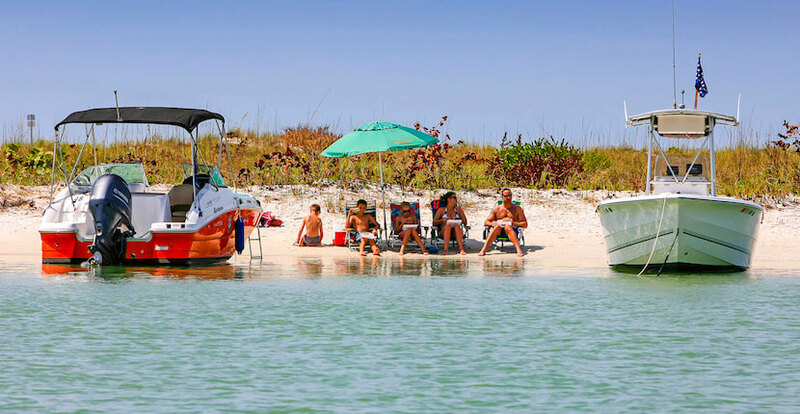 Whether it’s fishing, shelling, or just a fun morning or afternoon of exploring the beautiful waters, Extreme Boat Rentals can supply you with the perfect rental for two hours to a full day. 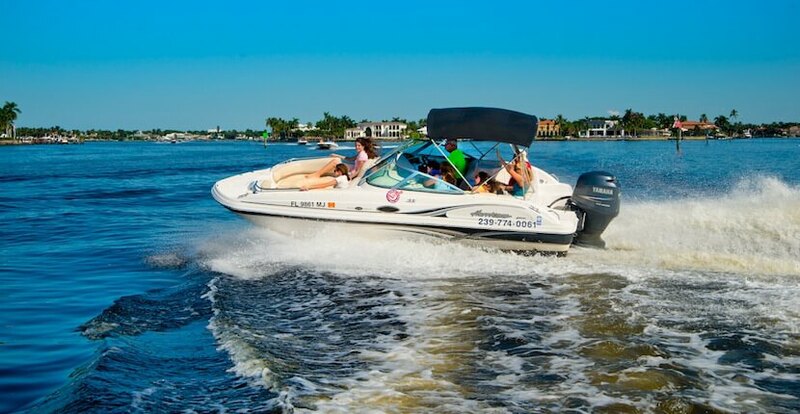 Explore Naples by water with a deck boat, Hurricane Fundeck, or small and large pontoon boat rental that can accommodate up to 16 passengers. 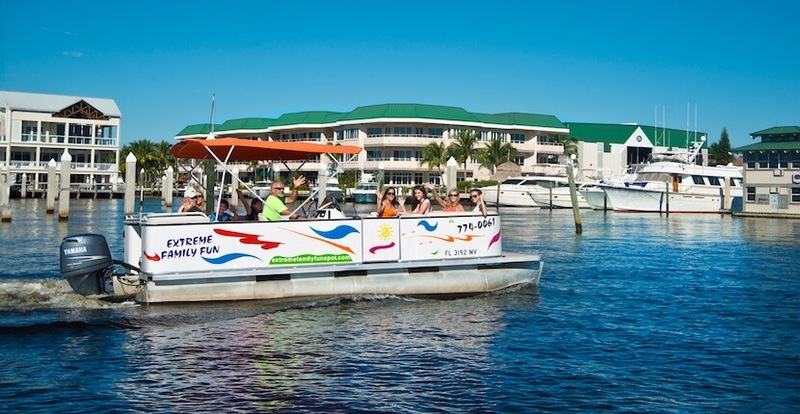 The staff can offer recommendations for hot fishing spots, areas to view and photograph local wildlife and nature, great beach spots and shelling, as well as places to pull up for some dockside dining. 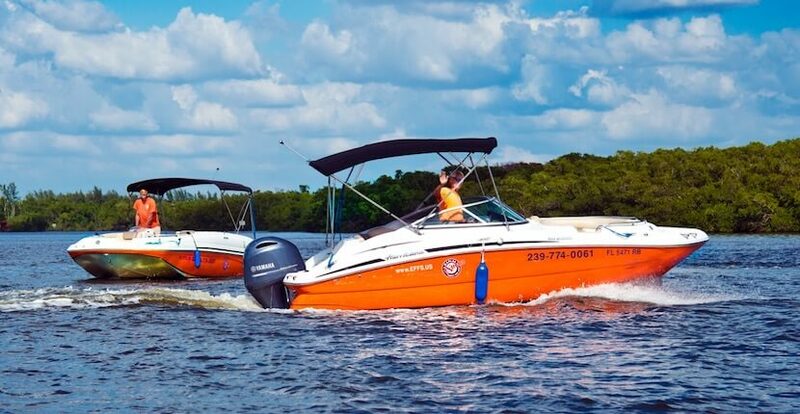 All rental boats have bimini tops for sun protection, coolers, and a full-color chart of the waterways. Training is offered for those who need it, and life vests available in all sizes are provided. Don’t want to navigate? 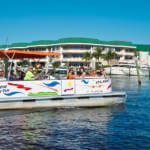 You can hire a USCG certified captain for a narrated water tour. For a unique adventure schedule a guided Segway tour. Riding a Segway is safe, easy, and more fun than you can imagine! A great sightseeing tour is sure to be a highlight of your vacation especially if it’s a tour on a Segway. Segways are energy efficient, environmentally friendly, and glide easily over sidewalks, pavement, and grass. Several tour options are available. Minimum age requirement is 12 years of age, and riders must be at least 90 lbs. Reservations are required. 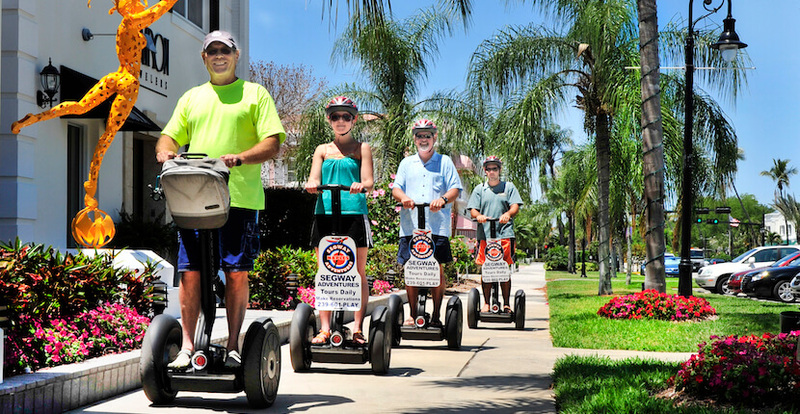 Segway tour includes Tin City, the historic Naples Fishing Pier, Naples City Docks, Gallery Row, Historic Palm Cottage, and “Beardy Banyan,” (a mammoth and the oldest Banyan tree in Naples). For a different perspective of the area, a bike rental is a fun way for you to explore Naples. Peddle around town for some shopping, dining, a leisurely ride to the beach, or to just explore all that the Naples area has to offer. Hourly, daily, and weekly rentals are available. Helmet, lock, basket, custom map, and suggestions on where to go are provided with each bicycle rental. Take a relaxing paddle through the calm waters of the Gordon River and Naples Bay with a tandem or single kayak rental. Each kayak is equipped with two cushioned, adjustable backrests and a storage compartment for personal items. Minimum 2-hour rental, daily and weekly rentals are also available. Take a two-hour or half day SUP trip up the Gordon River or out into Naples Bay. Beginners will love Extreme Family Fun Spot’s Emotion Traverse paddle boards that are wider and offer good stability and make for easy learning. There is even storage for drinks or a water bottle. For experienced riders, they offer BicSport 10’ 4” SUP board rentals. Minimum 2-hour rental, daily and weekly rentals are also available. Extreme Family Fun Spot offers half day and full day offshore and backwater fishing charters that the entire family will enjoy. Fishing trips are suitable for novice and seasoned anglers. All excursions include everything you need to reel in “the big one”. Advance reservations are required and can be made by calling 239.774.0061. Extreme Family Fun Spot offers a fully stocked ship store for snacks, beverages, ice, and more. Extreme Family Fun Spot offers a 10% Military discount. Read our blog article about all the fun things to do with Extreme Family Fun Spot. Present this coupon to receive 15% off any Extreme Family Fun Spot boat rental, activity, or service. Limit one key chain per group, per visit.